Christina Huang takes 3rd Place at Science Fair! Christina Huang taking 3rd Place at the Science Fair! 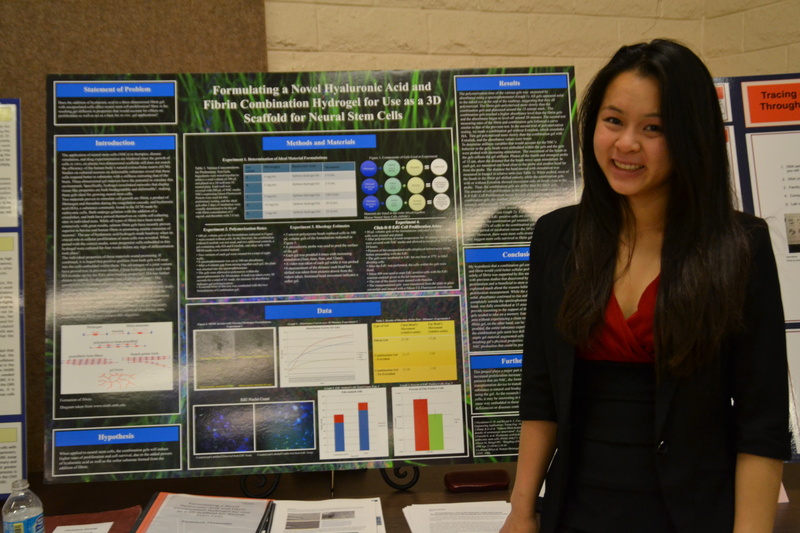 A very dedicated (and brave) high-school Sophomore, Christina Huang, completed her science fair project with our lab. She developed and analyzed the physical properties of a novel 3D matrix for neural stem cells and assessed cell viability and growth within the matrix. A job well done! Congratulations to Mindy Simon, a Ph.D. candidate for being awarded a CIRM Pre-Doctoral Training Grant. We look forward to the results of her project!